This is a collection of some of the best premium and free branding mockups. If there’s one thing that makes a design sell, that is its presentation. So here’s a collection of the Photoshop mockups that can make any common design look extraordinary. Let’s take an example. If you have made a business card design and you are sending it over to the client. How would you send it? Would you send just a flat image of the design? That doesn’t really look cool. If you use a cool photorealistic mockup, the chances are that even ordinary designs will sell on extraordinary prices. So without much further ado, let’s jump right to the resource. This is the newest resource of its kind in the market. I loved the finishing touches and especially the envelope mockup this pack includes. This resource costs $11. This branding mockup contains 3D objects that display and present your designs. This is one of the best free mockups available. Yes, this is a free resource. This free identity mock-up is ideal for the creation of close-ups. It is a great way to present your work in a realistic and professional way. This is a free resource. This is one of the best ones among premium resources. The only drawback (which is also its plus point) is its bright orange color. It is not suitable everywhere. This resource costs $11. This is a template to create the killer project proposals. This is one of my favorite resources in this list because this is the one that ensures a regular stream of projects. This one costs $12. Showcase your great branding, stationery design with this simple but good looking PSD mockup. This is a free resource with commercial use allowed. This is a catalogue or magazine layout. Applies your design to an array of multiple stacked folders. This is a beautiful free resource. Invoice is something that designers can forget to make with detail. That’s because the project is complete now so no need to pour your design skills on just a bill…. dead wrong! Invoice is the thing that will leave a lasting impression. This is like the last bite of the meal. This one has to be delicious. This one costs $6. This is a mockup template for creating an impressive looking company profile. This is a free resource. This is a pretty cool mockup because it creates a realistic rubber stamp. This is not a like the stamp brushes we use in Photoshop, this is the real authentic thing. This, also, is a free resource. This is a pretty cool mock up if you are creating presentations. This is also a free resource. This mockup is exclusively made for artists and everyone who wants to exhibit his/her work in an intuitive fashion. Free resource once again. This is a set of modern certificate templates. They are made for corporate sector but I believe small businesses should also take advantage from these, just like I do. This is a premium resource costing $4. These letter templates can be used as resumes, formal letters, certificates and so on. I’m sure you can guess more uses for them then I can. This is a free PSD. Even though the stationery bundle mockup packs we featured here included business card mock ups, but I liked this one so I’m including this one as well. Of course, this is a free resource. This is the other mock business card mock up that I really liked. This one is also free. This is one of the most “corporate” looking mockups that I have ever seen. This resource costs $11. This is another one of the corporate looking stationery mockup. This one costs $12. 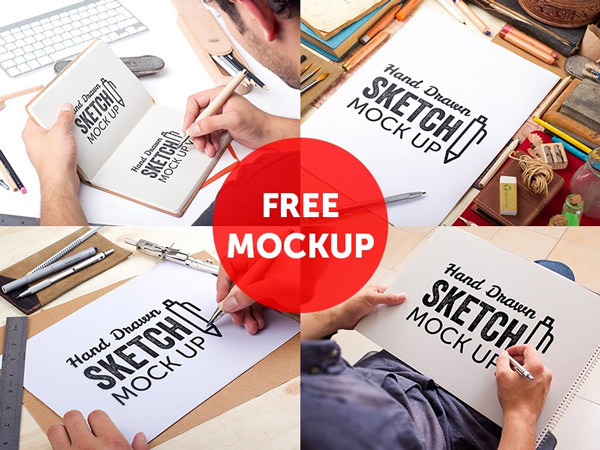 This is truly a premium quality mockup but it is 100% free. That’s it guys. Please do not forget to share your views using the comments section below. And if you liked my effort, please don’t forget to “like” this page on Facebook or tweet about it on twitter.